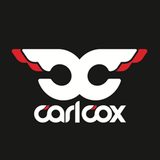 A musical ambassador since he was in short trousers, a professional DJ since his early teens, a veteran of acid house and a champion of techno, Carl Cox emits a love of his work that is dangerously infectious. Check him when he&apos;s behind the turntables and you can&apos;t mistake his ecstatic visage, dripping with sweat as his head bobs up and down to the beat, his hands pumping the air whenever they&apos;re not manipulating the turntables, his body swaying back and forth, frequently taking to the mike to share word on the latest underground tune he&apos;s about to break. You name it, Carl&apos;s been there and done it, but he&apos;s never lost sight of the point of it: playing music, breaking tunes, spreading love, celebrating life. Global features studio mixes and live recordings from the best of Carl&apos;s worldwide club gigs as well as world class guests. Plus of course the absolute cream of the latest global house and techno music, personally selected and mixed every week by Carl.